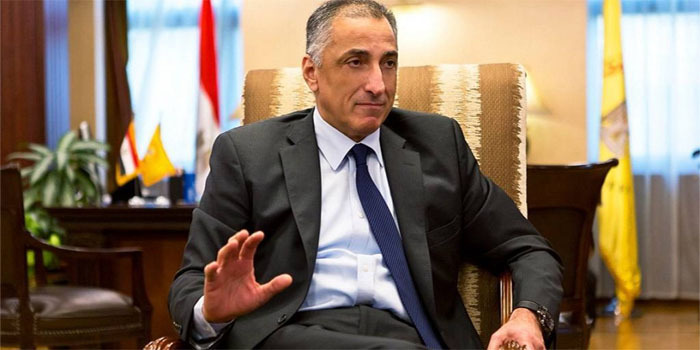 Egypt’s banks have overcome two crises in 2018, considering new options to develop the banking sector and attract investors, the Central bank of Egypt’s (CBE) governor Tarek Amer told reporters on the sidelines of the Nilepreneur initiative. Egyptian lenders have raised EGP 800 billion in proceeds from the 20% interest-rate certificates of deposit (CDs) issued after the liberalisation of the exchange rate on 3 November 2016, the CBE’s governor said. Almost 28 million citizens have benefited from these certificates, Amer highlighted, adding that the banks have lost more than EGP 350 billion in two years in favour of the clients. He stressed that the 20% interest-rate certificates aimed to direct people towards saving in a bid to face the hike in prices resulted from the flotation of the Egyptian pound. Amer revealed that the CBE currently considers launching a new initiative to settle defaulters’ debts as the board discusses banks’ proposals to set the terms of the initiative. The CBE had launched an initiative to settle debts of defaulters in 2018 in coordination with eight banks and it was halted by the end of last December. The CBE’s governor has called banks to finance small-scale investors in order to encourage investment and development as boosting the gross domestic product (GDP) is the main factor to improve investment rate. Youth need support and guidance in the meantime and the CBE is currently collaborating with foreign countries to be acquainted with their successful experience in the microfinance business, he highlighted. He also referred to President Abdel Fattah El-Sisi’s instructions to spur youth projects and cut interest rates on youth’s loans to reach 5%. The CBE is keen to grant licences to new banks operating in the Egyptian market in financing small- and medium-sized enterprises, Amer said. The licences will enable these banks to receive deposits from citizens at limited rates consistent with their capital that will be lower than traditional banks, he pointed out. He said that a number of foreign banks, including GCC-based and European lenders, have applied for licences to begin operation in the Egyptian market. Almost 39 banks are currently operating in Egypt, including state-run and local and foreign private lenders. Many poeple have opposed the interest-rate hike policy the CBE followed over the previous period despite being lower than other countries with similar conditions as Egypt, Amer noted. The CBE makes unexpected bold decisions that reflect confidence in the country’s economy, he said. Cutting interest rate has positively impacted Egypt’s economy and boosted investor confidence, he indicated. Egypt has ended a repatriation mechanism that made foreign investors able to get their USD earnings out of the country which increased foreign-currency inflows despite the criticism the CBE faced back then, he said. The CBE’s governor said that the central bank has been successful to overcome two crises last year, which are the emerging markets crisis and the liberalisation of fuel prices. Egypt has been working on raising its international reserves, seeking to gain a strong position among foreign markets, he noted. The CBE aims to bolster the GDP in a bid to ease prices and support national products, Amer pointed out.